"I can’t say enough about Val Print. 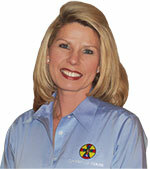 – The staff have always taken the time to understand our business and its unique printing needs. They created a personalized service plan that helped streamline our business processes and save Poverello House vital dollars. The service they provide is the absolute best! " 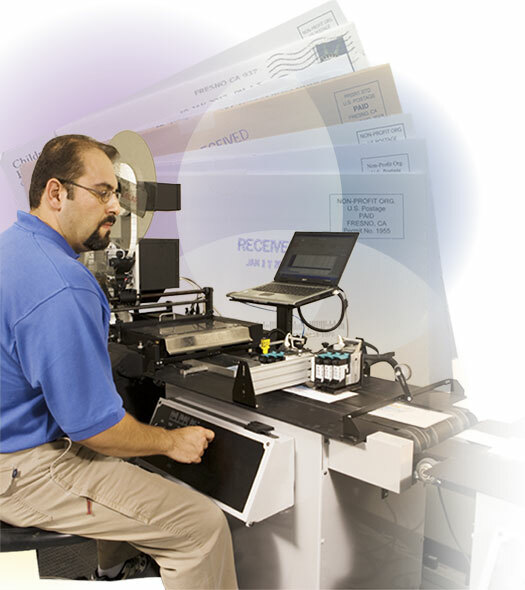 ValPrint is a full service mailing house capable of handling any size mailing project. We take all the guesswork out of the labyrinth of U.S. Postal regulations and procedures. We guarantee to save you time and money by properly preparing your mail and ensuring that you receive the appropriate discounts offered through automation. Simply provide us with your mailing list and we will take it from there. Here is an example of how much you can save using ValPrint. Typical saving on 5000 postcards mailed. 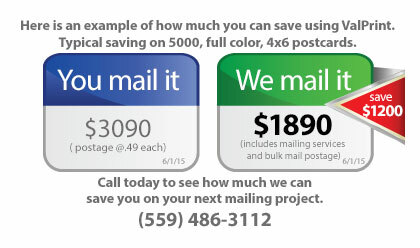 Call today to see how much we can save you on your next mailing project.